Ed Anderson and Linda Cabot with Chris Maxey at the Anderson Cabot Hall dedication ceremony. 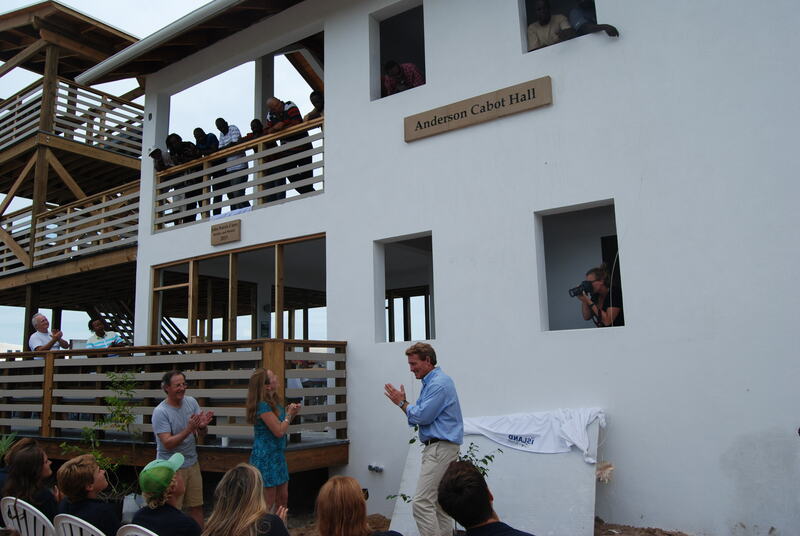 “Ed and I believe in the Island School mission and the transformational power of experiential learning. At the Island School students tackle real world sustainability issues, conduct independent research, engage in collaborative learning and challenge their personal best. These powerful experiences develop meaningful skills that will help students thrive in the real world and protect our natural environment. This is why we are proud to make a gift that will help sustain the curriculum and enable the school to inspire and share best practices with learning communities around the globe. We hope our actions inspire others to give generously as we believe that community efforts yield the largest and most positive effects”. Linda Cabot cuts the ribbon and welcomes everyone to Anderson Cabot Hall. Ed and Linda’s leadership comes at a pivotal moment in our history as we look down the last year of our five-year campaign. With their gift we are approaching $17 MM and feel confident to be able to announce now that our new campaign goal is $20 MM. 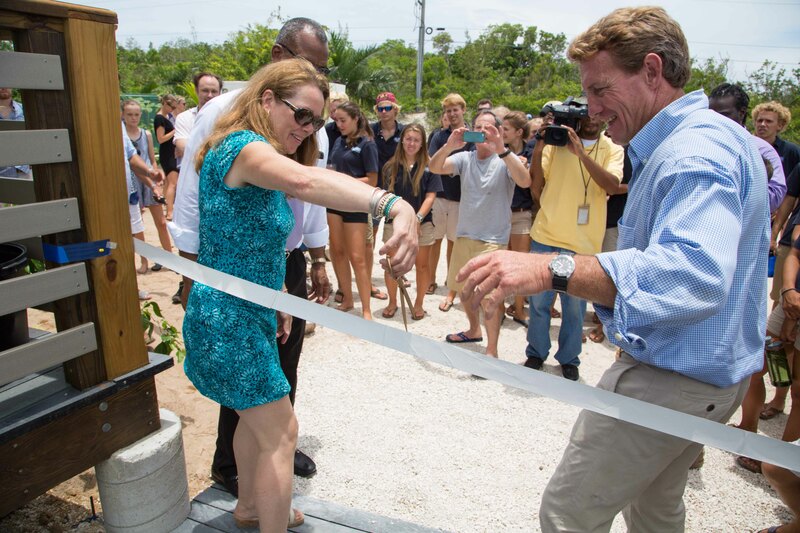 Mary Kate Barnes, Island School parent, Board Vice Chairman and Chair of our campaign shares, “It is amazing to witness a young school embark on a bold first campaign effort with the potential to stride so far past goal. Much of this effort is designed to build an endowment and strategic sustainable fiscal plan that looks out generations. 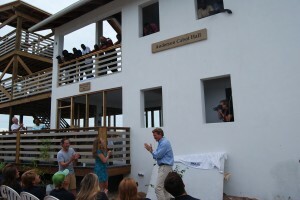 I am also proud of the young development team, Mary Assini Sp 00 and Cameron Powel Fall ’04, both alumni living the mission of The Island School — Leadership Effecting Change.” The Cape Eleuthera Foundation Board thanks Ed and Linda for believing in us and helping The Island School strive towards a new level of sharing. Both Ed and Linda are proud to say that their daughters Georgianna Sp ’11 and Noelle Sp ’13 both graduated as Class Caciques and to this day lean back on The Island School experience as the most transformative time on their journey through school.